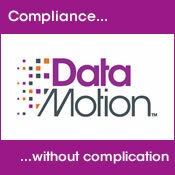 "It was amazing how quickly we were able to integrate the DataMotion Direct technology with our MEDITECH EHR." Direct Secure Messaging is a national encryption standard for securely exchanging clinical healthcare data via the Internet. It specifies the secure, scalable and standards-based method for the exchange of Protected Health Information (PHI). As a part of qualifying for incentive payments under the Meaningful Use Stage 2 criteria issued by the Office of the National Coordinator for Health IT (ONC), healthcare organizations and providers must meet data transfer requirements using Direct Messaging. Read how Cumberland Medical Center successfully accomplished Meaningful Use Stage 2 Attestation quickly and painlessly. Inconsistent transitions of care follow up by patients.